This guide is broad and comprehensive on all manner of dog topics providing information relevant to all dog and puppy owners. Having had and trained many dogs in my life I can assure you that even if you’re at your wits end with your dog or puppy’s behavior, it is possible to train good behavior and obedience into them. If you’ve tried and failed so far, don’t despair. Everything you need to know is in this manual. It wont be long before you’ll see a different attitude in your dog and at that point things just start getting better. All puppy’s are very cute but when they can’t stop jumping up on you or you find your best shoes in a state of ruin after been chewed for hours under your bed, it’s easy to say that no training will work. But don’t be disheartened, everything to cure these problems along with the single worse one, toilet training, that every dog owner has to endure, is covered in this manual. Training your dog to be obedient is very satisfying for both dog and owner, as the relationship develops into the dog knowing who is their master. With this your dog learns what its expectations are. This is very rewarding and goes onto a lifetime close bond. Psychology is the main ingredient with dog behavior. In simple terms your dog has to learn that good behavior will be rewarded but bad behavior has to be corrected. Your dog will learn that when it obeys you, they’re going to be looked on fondly, but when they do something bad that’s going to be frowned on and they don’t like having that feeling. By rewarding your dog by petting or a treat is what works for good behavior but this can’t be overdone. This can easily be taken as a bribe and you’ll find out quickly that your dog will become the master, as he’ll expect a treat every time he does something good. We’ll go over all these techniques and ideas and how to keep a balance in the training by further reading of this guide. In the wild, in a dog pack, dogs have natural instincts that want to please their leader. The same characteristic is found when dogs relate to humans; they want to please their master. So dog training is simply a way of showing a dog how to exhibit certain good behaviors. Basic dog training is unbelievably important, especially in a family environment. A dog must be taught how to behave, otherwise it can literally be dangerous, especially with young children. Dogs are not going to train themselves so they must be shown who’s boss otherwise they can be quite unpleasant to be around. In most cases the owner has to be trained on how to train the dog. Dogs show certain responses to different conditions and it’s these conditions where the owner has to lay judgment to train the dog effectively. This can be done by rewards for repeat behavior, yet this can have its own problem in that with ‘problem’ dogs the owner can be rewarding the dog for problem behavior. A bored dog is an unhappy dog. It’s vital to keep your dog stimulated otherwise you’re going to see problems for sure. A bored dog locked outside will reward you with large holes dug in your front lawn. A bored dog locked inside will leave you a trail of chewed up items. They wont discriminate either. They don’t know the difference between your most expensive to your cheapest shoes, or your new sofa. They’ll just hack it to pieces. Exercise. This is vital. They love going for walks or a run, it’s instinctive for them and they’re very social animals, so try to take them to areas where there’s other dogs and people. Toys that educate. You can buy these and they’re great at exercising your dog’s mind. One you can buy is the ‘Buster cube.” This releases a pellet of food once the dog turns it over every fourth time. Routine. Dog’s love routine. At the same time everyday, groom your dog or take him for a ride in the car, a walk or feeding time. Give him a job. Dog’s love to work so teach him to go and get the newspaper, or, let him walk out with you each time you take the trash out. Obedience training. Your dog has to be taught to think in the right way. They’re generally very smart animals but they have to be taught that they’ll be praised for making the right decision and corrected for making the wrong decision. This instills a sense of responsibility into your dog and makes certain he uses his brain. 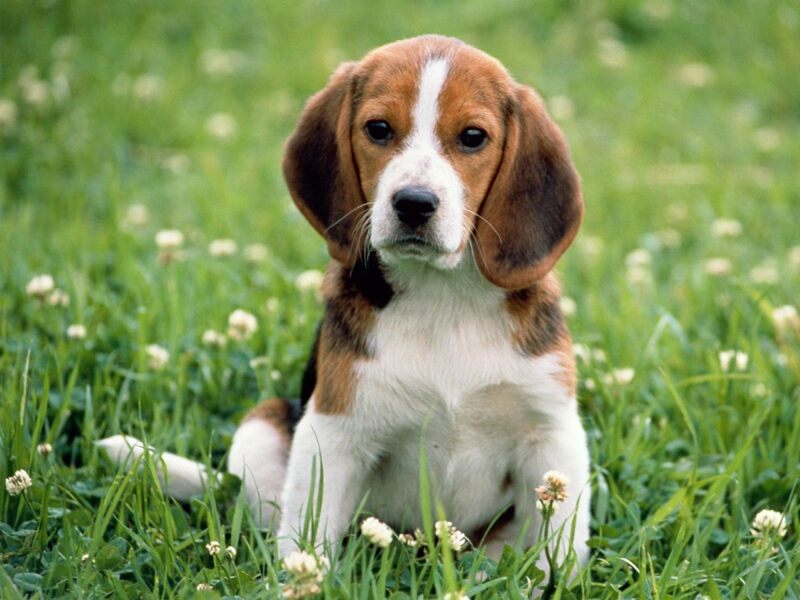 The crucial time for the development of a dogs personality is between three and twelve weeks. When you first get your puppy your dog it could very well have had bad influence reflected in its personality by its mother and siblings. An example would be if the mother has barked to get attention, the puppies will be doing exactly the same thing. The best time to get a puppy is at eight weeks. By starting training at this time the groundwork will be laid for a fast response time and a rewarding relationship. It’s critical for your dogs development and interaction with others that he meets as many new people and healthy dogs as possible when young. If it’s possible take him to work or around to friends places and let him play with others. If they’ve got dogs, all the better. There’s nothing funnier than seeing a new puppy play with other dogs. But beware of old dogs; they can only take their ears being bitten so many times before they’ll snap back. Puppies love playing with toys and this provides great physical and mental stimulation. Give him a small variety and see what one becomes his favorite, but don’t buy anything resembling something like a shoe or you won’t be able to blame him if he destroys the real thing. Puppies love playing with you, especially rolling around on the floor and it’s a great time to interact with them. But make sure you remain the dominant one in this combat roll. Also it can be a great idea to issue your first early commands. If the puppy looks as though he’s about to sit, let this be your first command when you firmly say ‘sit.’ It will take him quite a lot of ‘sit’ commands though before he understands this, so be patient. Once the puppy finally understands a command he should be immediately rewarded with some gentle stroking and some encouraging praise. Remember that you’re the one in the dominant role always and the puppy must learn to respect this role. An example of an early habit is one trap that many owners fall into and that’s carrying the puppy around often when it’s young. This is a bad habit to get it into as when it’s an adult and feeling insecure it will expect to be carried then as well. This can be the root of the dreaded ‘jumping up on people’ behavior problem, that you’ll learn more of later on in this guide. This problem could have been terminated early on if the owner had of stopped praising the puppy for jumping into his lap in the first place. Of course, there’s lots of times in a puppies young life that he should be stroked on your lap, this is only natural mutual affection, but just remember to do this on your own terms and don’t let him jump on your lap anytime he feels like it. Excellent breeding results in a puppy that grows into a dog that has great learning skills and problem solving. Puppies that are actively stimulated between three to twelve weeks are best at this. They learn most skills from their mother during this time, so an active and intelligent mother will easily pass these skills onto your puppy. 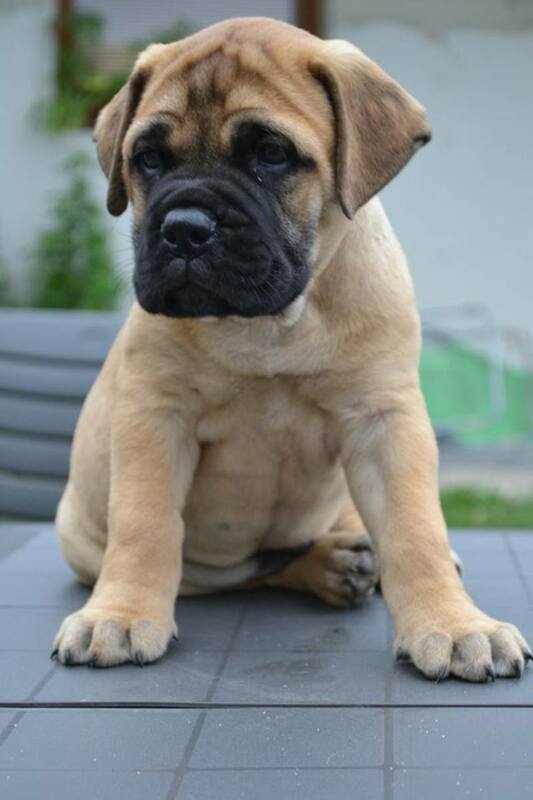 If at all possible vet the mother’s lineage before choosing your puppy. These days, breeders can be only in it for the money and consequently there’s a lot of inbreeding. This can result in puppies not being the sharpest knife in the draw and can make training your puppy very difficult and time consuming. Try to keep any fearful encounters that your puppy is involved in to a minimum. These early encounters become phobias all of there lives unless you can train them out of them. One example would be your puppy approaching a much larger dog out of curiosity and being growled or even snapped at. This could cause him to cower in this situation for the rest of his life, even though when he grows he’s a large dog himself. Dogs learn best when they’re under four months, and it’s important as puppies that they learn to interact with not only other dogs and people but other species like cats and chickens for example. This reduces problems with other animals in the future. In fact if your puppy is left at home while you go to work, it may be an idea to buy a kitten at the same time as they can keep each other company. If you consult your local vet, you may find that they or they may know someone else that have regular supervised puppy evenings where your puppy can learn to respond to other dogs and strangers. If your dog has had little social experience they can be difficult to train. A dog that’s had lots of dog and people contact and affection when very young is much easier to engage with. So along with your dogs heritage you should investigate as much as you can into your puppy’s early life up to eight weeks. Puppies are best placed in your new environment ideally between eight to ten weeks old. As explained under social deprivation, dogs that are handled by humans from just a few weeks old are much more amenable to training. Puppies can begin learning early commands from eight to twelve weeks with their only limitations being concentration and stamina. Older dogs without early training are very difficult to train. As the saying goes” Try to teach an old dog new tricks.” Bearing this in mind quietly begin to teach your puppy necessary commands from eight weeks but remember he’s still very young so don’t expect to much to happen in the way of obedience in the first few weeks. Months is a better timeline. The leader of the pack is the alpha male and that’s how your dog should view you. You can command much more respect from your dog if he knows you’re the boss and this is something you can start teaching him as soon as you get him as a puppy. A dog that doesn’t respect you as the boss will more than likely turn into quite an aggressive dog. To teach respect, adopt a steady and deep voice when issuing commands. Give rewards when they show good behavior and in a situation when a dog is nervous act nonchalantly. It’s still possible to get an older dog to respect you as the boss using the above techniques, but can be more challenging due to the age. When beginning to train your dog there’s lots of confusion as its difficult for the dog to understand what you want him to do. 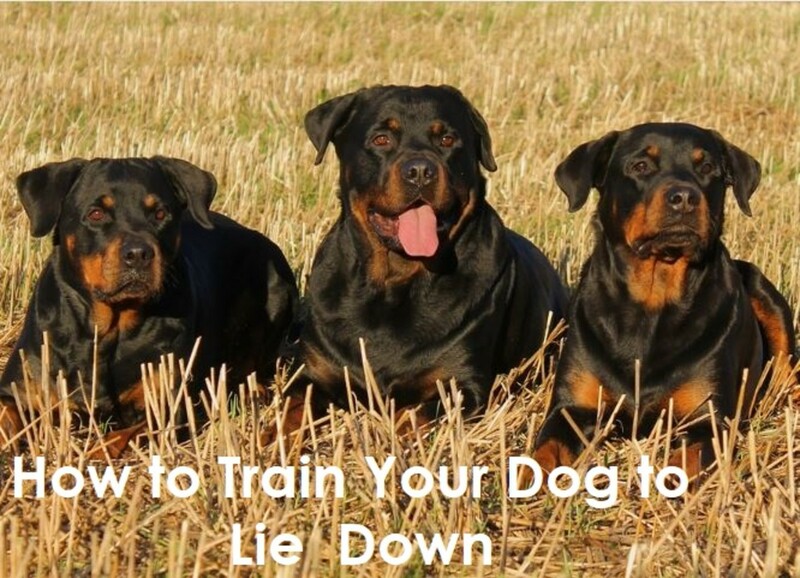 At this point its easy to reprimand your dog and it will be warranted in most early cases but professional trainers will tell you that positive encouragement is a much better way to go when training your dog as dogs respond better. Dogs should be positively rewarded with a pat, tummy rub, treat and kind words whenever it finally understands the command, such as, sit, stay, fetch. They’ll learn much faster this way, instead of a telling off. But it is necessary to reprimand your dog if it jumps up on people, pulls at the leach, barks, growls, destroys something or defecates in the wrong place. A strong ‘No’ or, ‘bad dog will get his attention. But make this anger of yours very brief. Don’t constantly tell the dog off or he’ll get so used to it that he’ll ignore you. Also, remember, that your dog is doing his best to please you at all times, so be patient with incidences like these, he’s only learning, but he must be told when his behavior is wrong. Never spank, hit or constantly scold your dog. They respond to love a lot more than this kind of treatment. These can be special food treats, playing with a tug toy, or, other dogs, or, extra time with his owner. In the training of narcotics detection and special police dogs, trainers will teach a puppy to strongly like one particular toy (this is called “ building prey drive”). The goal of this is to make the toy a powerful reinforcer of good behavior and make the dog work independently for long periods of time. The prey drive training activates an instinctive drive in the dog to make him satisfied in this sequence: search, eye-stalk, chase, grab-bite and kill bite. When one of these dogs finds explosives or drugs he feels as though the jobs not done unless he’s bitten something, hence the toy. By the way. In this early training and you’re giving your dog lots of food treats, this can lead to an overweight dog. To combat this, just eliminate what he would have had in his daily food intake. Punishing a dog is generally only used if a dog is willfully disobeying its owner. A sharp tug on a collar can be effective (should be kept at a minimum) but a firm “no’ can be better. If you punish a dog when he doesn’t understand what he’s being punished for you can make a fearful dog or a dog that’s unwilling to be trained. Positive training is what works best and you shouldn’t go to strike a dog as it can make them act defensively when you are simply trying to pat them for good behavior. Dogs just love eating and you can reinforce your role as pack leader by providing the food. It’s an opportune time to reinforce your role as the boss but also ideal for extra training activities as well. Dogs revel consistency so it’s best to feed your dog at the same time window each day. If you’re feeding your dog twice a day and one window is say 7.30 -8.00am and the other 5.00pm -5.30pm, make sure you abide by those times. Dogs have an uncanny sense of time and once they start getting their food at the same regular time, they’ll generally start hovering around you at about 5.15pm waiting to be feed. If you miss this time they can get very anxious, so abiding by this time each day will give you a calm dog. Many families do this and it’s a massive mistake, just to feed your dog whenever you’re eating yourself. This leads to a lazy overweight dog. Just stick to the same time either once or twice a day. And never feed your dog scraps if you are at a table eating with your family (discipline your children if you see them doing this). Once they get into this habit it’s a hard one to break and you’ll have the dog looking up at you every time you sit down to eat. This is a great opportunity to train your dog simple commands at their mealtime. Stand with their bowl in your hand and command them to sit (the easiest command of all). Because they love that food in your hand you’ll have them sitting for it in no time at all. Once you’ve done the sit command then start on the ‘sit and release’ command. So once they’re sitting waiting for the food, put the bowl down but make sure they don’t break the sit command until you say ‘ok’ – at that point they can bound over and start eating. Once you’ve established yourself as the leader of the pack and the food provider you’ll earn a lot of respect from your dog and he’ll be much easier to train. Respect is king here. A firm voice is best when commanding your dog. A pleading or hesitant voice isn’t respected with dogs and yelling at them will sound like barking to them, which is threatening. The same command must be used exactly all the time too. If you sometimes say ‘siiiiiiiiit’ and other times ‘sit’ you’re effectively giving the dog two commands which will just lead to confusion. It’s a good idea to use the dogs name before you issue a command. The dog then will know there’s a command coming up and he must pay attention. This is important in a park type atmosphere where lots of noise is about with other dogs and children. When the dog obeys the command correctly, a treat, praise or a toy is essential in reinforcing that he has done well and should be rewarded. Not all dogs are taught to respond to voice commands. Farm dogs are taught to respond to different whistles. Deaf dogs are taught to respond to different hand signals. Short words are the best commands. For example, sit, come, stay, lie down are all commonly used and are useful in a park too with other dogs and handlers, as another handler will identify straight away what you are doing with your dog. This can be the most anxiety ridden stage of puppy training but dogs by nature are clean animals and don’t like to go to the toilet where they eat or sleep. They’re also creatures of habit so they just have to be taught where to urinate and defecate. If its on gravel or concrete that’s where they’ll always go, if it’s grass that’s where they’ll always go. When you first get your puppy you’ll want to set up a small area whether in a bathroom, kitchen or garage where they’ll be sleeping. You’ll want to play with your puppy a lot in whatever area you decide on. Make or buy the puppy a small bed to lie on. If the puppy goes to the toilet in this area there’s no need to discipline him, he’ll soon learn that if this is the place he’ll be getting feed or sleeping then he won’t do that again, or very often. When he gets a bit older you can always drag the bed off to some other part of the house. Now set up the toilet area. Presumably this will be outside the house. Wherever it is the dog will have to be able to go there whenever he likes, so, you might have to have a dog door installed. This is major reward time so whenever your dog goes there you’ll have to go to so you can reward and praise him. Establish set feeding times. This will at the same time establish more or less set times when the puppy will be going to the toilet. You’ll learn these times yourself quite quickly so this will make it mush easier for you and you’ll be able to take the puppy out to the training area at roughly the same times every day. Once your puppy has got a handle on the outside toilet area and is using it automatically, you can then go ahead and extend the inside training area. At first do this room by room until he’s got the run of the whole house, but if you are out, confine him back into his original room. Sorry to say that your puppy probably won’t be completely house toilet trained until he’s six months old. That’s only because his bladder and bowel control isn’t fully developed until then. His toilet training though will last him a lifetime so it’s best to get it right the first time so he doesn’t need retraining. This is the number one reason that dogs end up in animal shelters and that’s not the dogs fault, it’s the owners as they haven’t trained them properly. The paper training method was the most popular way of house training a puppy up until a few years ago when dog training experts started to say that if the puppy is going to eventually learn to go to the toilet outside then why not train him to do that from the very start. But paper-training still works and might be the best approach for you, especially if you have to leave the puppy at home by himself a lot. Confine the puppy to a small room and completely line the room with newspaper or some self-absorbent paper. At first the puppy will go anywhere but will then just use one place to go. Slowly remove the papers and only line the area where the puppy goes. For puppies that are being trained to go to the toilet outside, when they do go overboard with the praise. After all this toilet training is the number one item to get through so praise is what’s needed here. This is not something that requires a treat though. Never punish him while he’s being toilet trained. He won’t understand that and may think it’s because he’s actually going to the toilet. A generation or so back it was common for owners to hit their puppy if they had an accident while being toilet trained with a rolled up newspaper, on the nose. What an incredibly stupid thing to do to a relationship that would have been. You’re going to need a lot of patience and a sense of humor while this training is going on. It is going to be roughly a 16 week process. At first it will be shambolic but as the weeks wind on he will get better and better. Toilet training a grown dog is the same as a puppy. So if you’ve got a dog from a rescue shelter you may have to house train them. All dogs are inherently clean creatures so if they do go to the toilet inside it will generally be six to ten feet at least from their feeding bowl or bed. That’s if they’re confined to that area, but if they’ve got the run of the house, it will be anywhere in the house and far from the bowl or bed. You’ll need to take the dog outside every couple of hours and thirty minutes after he’s eaten. If he doesn’t go when he’s out there bring him back inside, but keep an eye on him. If he starts sniffing and circling that’s a sign he’s about to go. Grown dogs are much faster at toilet training than puppies, but just remember to heap lots of praise when they do go outside. Puppies will need to go outside to the toilet at night too. Older dogs can hang on during the night. But if you hear them crying take them out. That’s them being really good so don’t be lazy and not respond. If you catch your dog going inside, distract him quickly with a clap of your hands and quickly take him outside. Praise him while he continues outside. Then go and clean up the mess with disinfectant. If the dog approaches, don’t scold him just ignore him. A puppy crate is a very useful training tool. It provides a brand new puppy with a secure environment. An ideal place for one is where he can get used to his surroundings and new smells. If the kitchen is a busy family center then put it in there. The ideal sized crate is one where he can stretch out and rise up and not hit his head. It shouldn’t be large enough that he can relieve himself and then go to another corner. If you’re intending to use the crate when he’s fully grown though, you could buy a larger one and block off sections with cardboard or a wood board. Inside the crate he should have a warm bed, a soft toy and a drinking bowl. (Remove the bowl of water at night when toilet training). You’ll have to introduce him to the crate, so, just pop him in there at first for ten minutes at a time and build the time up, but he shouldn’t be crated for more than two hours, except at night. After two hours take him out and give him some exercise. It’s very normal for a pup to kick up a fuss when in a crate. If he barks or cries it’s vital that you give him no attention at all. Just completely ignore him. If you don’t he’ll know that all he has to do is bark or cry and you’ll come and soothe him. Remember you’re the leader of the pack – not him. The exception might be in the first few days – give him a small treat to calm him down. And never punish him while he’s in a crate. This could create problems of him not wanting to be in the crate and could well lead to present and future anxiety problems. Also don’t crate him up for too long. If you’re not going to be at home, confine him to a small room instead. The crate should be seen by him as a safe space not somewhere he dreads being in. You'll have to decide what type of dog collar is best for your dog judged on the dog's size and personality. The metal toggle choke collar is useful for correcting your dog when he’s off lead. The prong collar or pinch collar should only be used if you have a very large strong dog or an aggressive dog that lunges at others. A good collar to start puppies or small dogs off with is the nylon choke collar as it’s lightweight and it gets them used to wearing a collar. The electronic collar is used on hunting dogs. The seeing eye harness is used in a way that pulls the owner forward, showing the way, instead of a loose lead. Correcting bad behavior with a slip collar is easy by simply giving the lead a quick tug to take up the slack. But it should just be the smallest sharp tug so your dog will take notice then slacken off again. The E-Collar or Electronic Collar. This collar is activated by remote control and emits a small charge to the dog when the dog is off the leash, to correct any bad behavior. It’s important to remove any of these training collars after training and replace with a regular collar. Otherwise a serious accident could occur. There are two great training collar brands out there, the Halti and the Gentle Leader, along with lots of other brands. Most trainers favor the Halti as it offers better control of the dog than all the others, especially in situations of meeting aggressive dogs. They’re an excellent collar when you’re in an area with many distractions and other dogs. 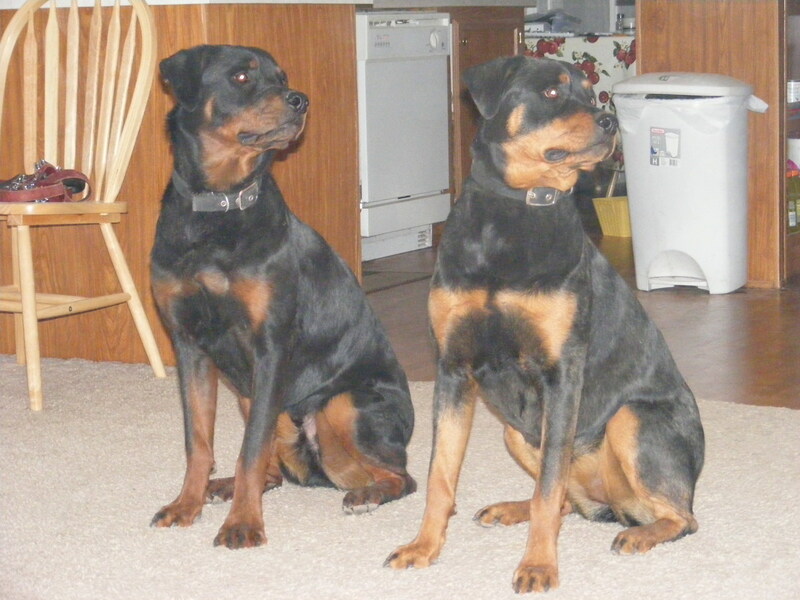 They are a great collar to use when training for reward and positive reinforcement. But they should only be used for training purposes only. Until your puppy can wear a collar and learns how to walk on a leash, further training is not possible, so this is a vital training step. The collar has to be lightweight to be comfortable but not too light that it’s breakable. Nor should it be too thick. To find the correct size, put a tape measure around the dog’s neck until it’s a snug but not tight fit and then add an inch. After purchasing the collar, fit it on your dog and you’ll probably find he won’t like it at all. He’ll whine and try to slip out of it but just ignore him and once 24 hours have passed then he’ll be getting used to it. Don’t punish him though; this isn’t bad behavior, just normal behavior. Next it’s time to attach a lightweight leash to the collar. Let the dog walk around with the leash around your house, but follow him to make certain it doesn’t get caught on anything. This could frighten him if it does. At first just attach it for a few minutes at a time, for him to get used to it. Attach it only at playtime or feeding time. This is when your puppy is happiest and so he should accept the lead as a happy thing. Leave the leash close to his feeding bowl so he can investigate it in his own time. After he gets used to trailing the leash around at home, take him outside on the leash and let him lead you around for a bit. At the beginning just give him a short run on it and then you can lengthen after awhile. It shouldn’t take him too long to get used to it, some puppies adapt to it almost straight away, others take awhile longer. A calm, relaxed, obedient dog is a happy dog and becomes a very welcome member of the family. Mostly, these dogs are the ones who’ve had a lot of training put into them and it shows and it’s very worthwhile. Here’s a list of commands that the dog must master in order for him to be called well trained. Heel – When a dog can walk beside his owner on a loose lead without tugging or pulling. Responding to the word ‘No’ – The most important word in interaction between you and your dog. When he understands the meaning of ‘no’ you’re going to save yourself a lot of grief. Stay – Like sit, ‘stay is an important command so the dog will remain where he is until told to move. Down – Although this can look like a cute trick, it’s another where you can be telling your dog to stay where he is and down until called on. As said before teaching commands to your dog establishes you as the pack leader and that’s what he’s looking for, a leader that he can respect and tell him what to do. If he doesn’t know the above commands you’re going to bring all sorts of bad behavioral problems on. A well trained dog will not have anxiety problems nor suffer from confusion. For this (as with all other commands) you’re going to have to have some treats at hand. Either biscuits, or a chewy treat, whatever he likes. One of the best times is when the dog is actually sitting. Just say the word, praise him and give him the treat. Another way to do it is to let him sniff the treat, then move it just above his head. He’ll naturally sit at this point to get access to the treat. Same thing. Say, sit many times, praise him and give him the treat. As he gets used to the idea, make the treats smaller and smaller until it’s just praise doing the trick. Practice this a few times a day, around meal times or playtime are a good idea. All commands the dog should associate with fun. You can also slowly push the dog’s bottom down until he’s sitting and then fill him with praise and the treat at the same time. Other trainers have said that doing this the dog will wait for you to push his bottom down. I’ve used this on many dogs and never had a problem. Once he masters the sit command at home take him out to different environments, such as parks with other dogs and teach him there as well. But also when the doorbell rings and you have people over. Training is an ongoing process, so keep praising your dog and never get angry if he gets confused with a command. It’s a learning process. He’s basically at a one on one puppy school. If you remember when you were at school, I bet you remember the school teacher who was always saying you were doing great work as opposed to the teacher who either scolded you or couldn’t be bothered. So think of your relationship with your puppy on those terms. Once he’s sitting on command, then one by one, teach him the same way, sit-stay, down, heel and come. Aggressive dogs are a serious problem and must be dealt with immediately by a Professional Trainer. Some breeds are naturally more aggressive than others, but also the dog’s problems maybe because of something going wrong in your own household. If the dog finds an unwelcome stranger in your house and bites him, that’s not all bad because in many ways that’s his job, but if the dog is snapping at the postman, or, even yourself, that’s definitely not on. With any behavior like this just go straight to a Professional Trainer. There are three types of aggression, territorial, dominance and possessiveness aggression. 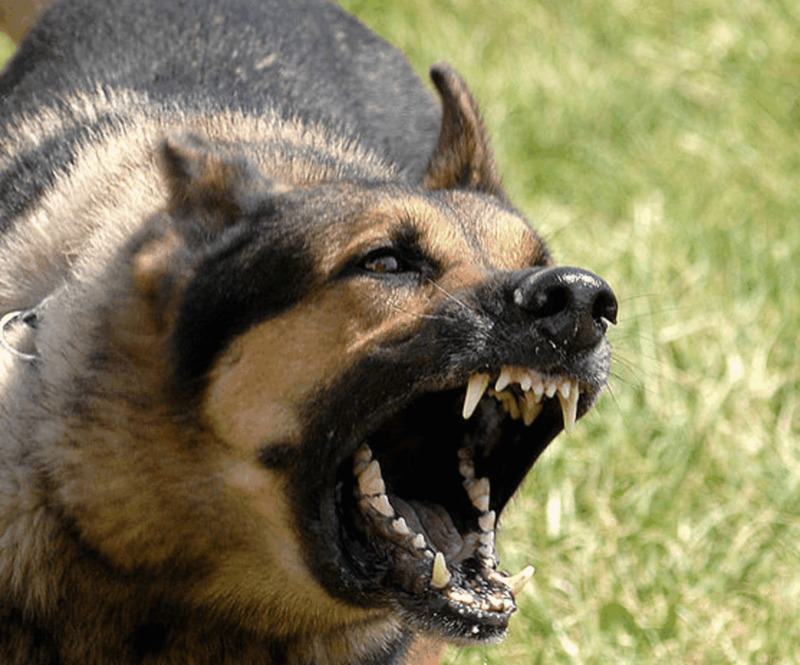 In dominance and possessiveness aggression where your dog tries or does bite you and growls at you this is a result of the dog wanting to be your boss and the leader of the pack. If he’s showing this behavior to a member of your family or especially to you, his master, you’ve got to show him who’s boss or things are really going to get ugly, if they haven’t already. Try not to physically punish your dog; this could make things much worse. Eat before your dog eats. Don’t let your dog go through doorways first. If you play games with him like tug-of-war, stop them if he’s winning. If you wrestle with him and you find he can pin you to the floor with his paws, then don’t play this game again either – he’s winning the strength war. Reset your house rules and show him that he’s got rules to follow. Territorial aggression is very natural to dogs but also can be very wrong. If he’s disobeying your command to stay and rushing up to people at your front door, growling and barking, if he’s a mature dog you’re going to have to try and train him as if he was a puppy, that these actions are out of order. It could be that he’s not getting out enough for walks, so, take him out a lot and introduce him to lots of new people and other dogs. At first he may be aggressive to them and that’s where your initial training as written before comes in. You’ll have to go back to the very basic commands, even if he knows most of them and start praising him when he performs them successfully. You’ll have to re-establish a whole new relationship with your dog. One where you can restore respect that you are definitely the boss and not him. If none of this works, then you’ve truly got a dangerous problem on your hands and one that will require professional help. A very aggressive dog can bite a child without warning and it would be difficult to live with the guilt of that. Neutering your dog can successfully reduce territorial aggression. Most dog bites (85%) are by non neutered dogs. But if you’re in an environment like a public park remember to keep your dog on a short leash at any time if he’s aggressive. I can’t tell you how many times I’ve been told by others when their dog growls at me , that he’s really such a friendly old thing, well he’s not, he’s a badly trained aggressive dog that requires Professional help. The causes of excess barking can range from environmental and territorial demands on a dog such as being confined inside and hearing other dogs barking in the neighborhood, or, an overly aggressive dog will bark to show dominance, but it may also be a separation anxiety if he’s locked in your property and you’re not often there. First, see if the dog is barking just because the area he’s confined in is too uncomfortable. Perhaps if he’s a large dog, the area is just too small and he may be suffering from something like claustrophobia. If that could be the problem, move him out to say your garage and make sure he’s got a comfortable bed to lie on. Maybe he’s just not getting enough exercise. Dogs get bored very easily and they also revert into bad habits if they’re not getting enough attention. Barking’s one of them. Remediation is simply the ‘No’ command. But be firm only. If you yell it at the dog he’ll associate that with barking and that it’s an okay signal to bark as all you’re doing is barking at him. When he stops barking go for the reward, patting and praise treatment and repeat over and over until he understands that constant barking isn't okay. If that’s not working the next step is to head to Amazon or possibly your vet for more extreme options such as ‘Dog Stop’ or “Barker Breaker” which are two electronic devices that will emit a high frequency sound to deter barking. They can be activated by the owner or by the dog itself. If you've exhausted those options as well you can purchase a “Shock Collar.” These are great if you're not around and produce a vibration every time he barks. Finally as a very last resort you can have a vocal-cordectomy or a debarking done which is an operation to remove part of the dogs vocal cords. Obviously that would have to be the very last way to go and if you did do this, one reason you have the dog in the first place, to warn you of strangers on your property, won't be happening any longer. If he stops, praise and pat him. If he continues, put your hands around his muzzle and close it. Use two hands if necessary. If he calms down. Do the usual. Praise and pat him. If this works, lure him to different locations where he also has out of control barking and repeat the training until he understands what ‘quiet’ means. If this doesn’t work, this might. Get a long distance water pistol. Give him a squirt on the chest if he barks. If he persists after this the only alternative is as discussed previously, the ‘Bark Collar,” from Amazon. This is a difficult one to be honest. When your puppy is new he naturally jumps up on you and other members of the family and friends. Because he’s new and cute he easily gets rewarded for this behavior with everyone patting and praising him when he does it. So, of course, he thinks it’s a good thing. Well its not. Your 10lb puppy could well grow into an 80lb dog and if he jumps on an older person, a child, or, a handicapped person and causes damage, you could well be facing a law suit. But not only that, a dog that jumps on people is just plain annoying. So stop this habit in your puppy straight away. When he jumps up on you immediately take his front paws and gently put them back on the floor, then praise and pat him. Even give him a treat just as if you were teaching him the ‘sit’ command. Do all this at eye level with him. What’s really important though is that every member of your family does the same thing and any visitor should be instructed what to do to. You've got to be absolutely consistent here. If you put his paws back down, but another in the family doesn't then it just leads to total confusion in the puppy. When training your puppy to walk on a leash and he pulls in front, change direction, so that he’s behind you again. You can also teach him to walk beside you by having some kind of lure in your hand like his favorite toy. If he does pull away, give a very gentle pull on the leash. He’ll more than likely stop in his tracks and wait for you, so, you can just repeat this behavior until he’s properly walking at your side without straining at the leash. It’s very important to teach this leash behavior when your puppy is young. When older it’s difficult to train them to do this. Remember though that you don’t have to give the leash a hard yank. A gentle pull works just as well. Dogs can be extremely destructive if you’re away for long periods of time. It’s not uncommon for them to destroy your best rug, or, chew at a piece of furniture. If you lock them in a room they’ll spend all day scratching and digging away at one part of the door. This can be anxiety or excess energy. A good thing to do is at the same time every day before leaving take them for a lengthy walk. Before you leave give them awhile to settle down. Leave them with a big pile of toys. You can train both puppies and older dogs to only chew their toys and not your sofa. All dogs love to chew. It’s a natural way of keeping their teeth strong and just an exercise that they enjoy. So, don’t discourage it, but rather encourage it only with their own things and not yours. Get your puppy or dog a ‘toy box’ full of his toys and put it in an area where he can always play with them. If you catch him though still chewing on things he shouldn’t, reprimand him with a strong voice. That should be enough. If you have a good relationship, he wont want to displease you. If you have ongoing problems though, especially if you are away, you can buy some ‘bitter apple.’ This comes in the form of a spray and he wont like it at all. Available from vet/pet stores and Amazon. There are many reasons behind excessive licking. If your dog spends a lot of time playing outside he maybe licking himself because he’s got dirt trapped deep down on his skin and may just need a good bath. But he also may be suffering from a skin disorder such as mange or dermatitis. Mites can cause these and your vet will easily be able to treat your dog or puppy and rid him of this condition. It may be stress and anxiety too. If you leave him alone a lot this is probably where he’s developed the habit through loneliness and boredom. You can’t just break this by yelling ‘stop that.’ As you will have found that’s about a three minute break in the cycle before he thinks your attention has gone away. So, you’re going to have to deal with this by getting to the root of the problem. When you do leave him, give him a lot of attention and hopefully lots of exercise. Same when you get home. Leave him lots of toys that he likes too. A great remedy is actually to buy another pet such as a cat or another puppy to play with in your absence. If you’re away for very long days you may be able to organize a dog sitter, such as a college student, who could come each day and take him for a walk and play with him. One last possibility is that it could be his diet especially if you have changed his usual food brand. If you do change the diet or brand do it gradually by giving him only 25% of the new mixed with 75% of the old and gradually increase the new brand over seven days until it’s a complete change over. Most dogs just love digging and do generally dig for a reason. It will be to bury a bone for a later date, or, because they’re hot, or, they’re plain bored. If they’re bored they’ll dig a hole alongside your fence line, because they wont to get out and see some action. Of course, the remedy here is to take them for a regular walk especially to a park where they can interact with other dogs and people. If they’re hot, they’ll be digging close to your house, probably in a shadow and they’ll be digging the soil surface off to make themselves a cooler bed to lie in. The solution is make sure they’ve got plenty of water day and night and shelter. Hopefully you’ve got some plants and trees where they can go to cool down under when they’re hot, but otherwise make them a canvas shelter top. Some breeds are born to dig like hounds and huskies. If this is the case led them to a place where you don’t have a problem digging it up. To encourage this area, dig a hole yourself and bury a fresh bone at the bottom for them to find themselves. That will lead them to only dig in this area in the hope there’s lots more bones. You may have a problem where you backfill the unwanted hole only for it to be dug up again. Half fill it with dog poo and some mothballs. They won't go there again. Puppy training should be over a two month intensive period and if this guide hasn’t worked over this time then you really should consider Obedience Classes. Puppies are much easier to train than a mature dog. With a mature dog you generally have no idea of his past life and it could have been shocking. He might have been treated cruelly and if so it’s going to take a long time to build up a trusting relationship with a new owner. A new puppy is ripe for training but some are much slower than others. Hopefully this guide has given you lots of tips on how to go about the basics for training your puppy or dog. Patience and a general love for your new best friend is essential in training. Done properly, you’ll be rewarded with a dog that can’t wait for you to get home, has it’s own very happy personality and will give you many happy and very funny times. It really is essential to keep this training up in a very repetitious way, and also a a very patient way. It’s not going to come overnight, especially the commands and toilet training, but believe me, when the puppy finally obeys what you tell it to do, you’ll be glowing with pride and so will you puppy.